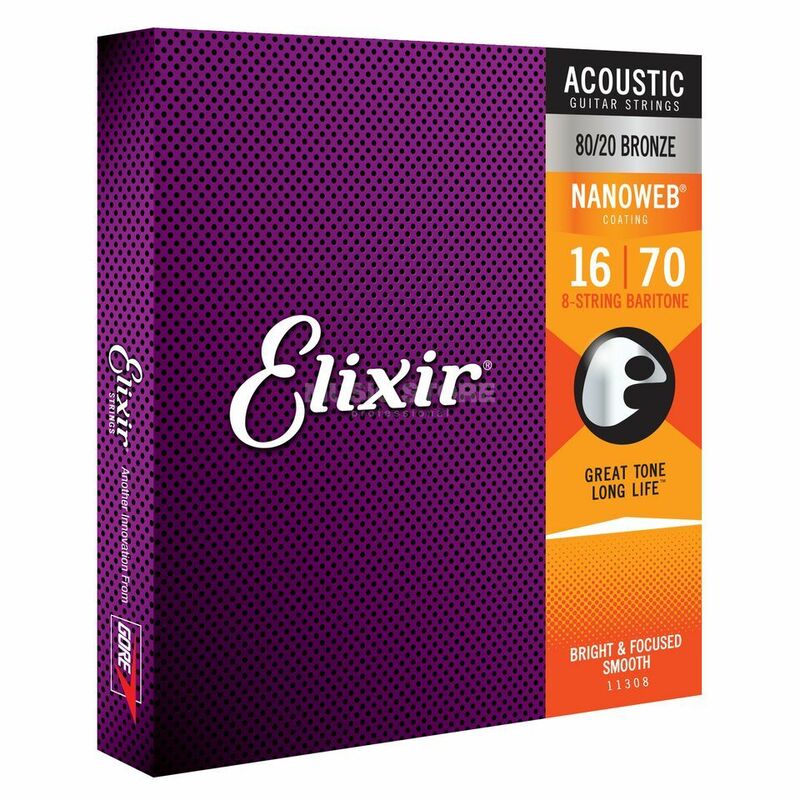 The Elixir 11308 80/20 Bronze Nanoweb Baritone Guitar 8-Strings 16-70 is a pack of 8-string acoustic guitar strings, made from 80/20 bronze with a Nanoweb coating and comes in a baritone gauge of .016-.070. These strings deliver distinctive phosphor bronze warmth and sparkle as well as an extended tone life. Producing a consistent performance and tone, the 80/20 Nanoweb acoustic strings offer a smooth feel that enhances playability and reduces finger squeaking. The steel strings have an anti-rust plating that resists tone corrosion.